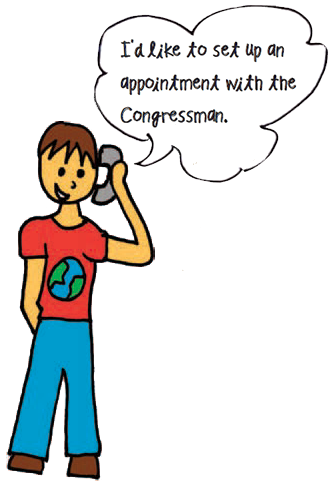 meet your Congressperson and convince him/her to help you protect the Earth. 2. 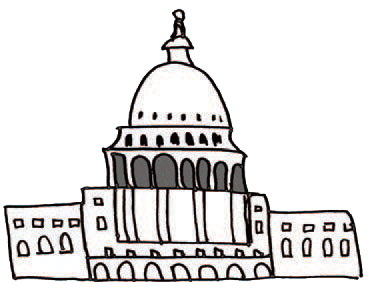 Next Google your Congressperson’s name to obtain his or her local office phone number. 3. Have a group discussion to decide what environmental issue you want to discuss. If you don’t know what you want to discuss, check out this link about environmental issues for ideas. 4. 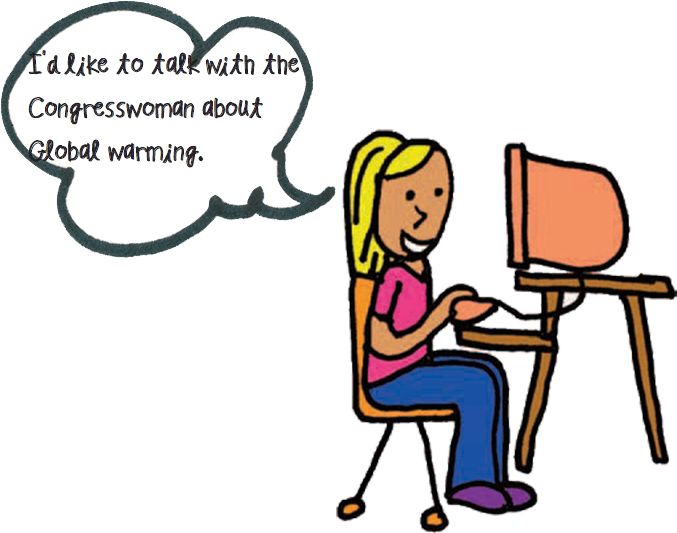 Write articles and draw pictures about the environmental issue you have chosen. 5. Call your Congressperson to set up an appointment.